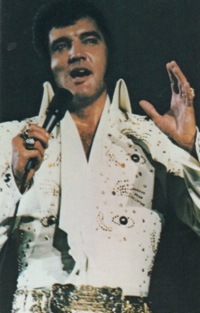 The year 1970 was a critical one in the career of Elvis Presley. Entering the new decade, he was riding the crest of a great resurgence in his career. It started with his NBC-TV special in December 1968 and picked up steam in 1969 with three hit records—“If I Can Dream,” “In the Ghetto,” and “Suspicious Minds.” The latter became his first #1 on Billboard’s “Hot 100” singles chart in seven years. Elvis’s successful return to live performances in the summer of 1969 signaled the end of a stagnant acting career, as he took his act back to the people. The career revival, so sudden and spectacular as it came, carried with it an underlying uncertainty. At age 35, could he keep the momentum going? Back in 1970, no one was asking that question. “ELVIS” was the magic word on the Las Vegas strip that year. His winter and summer engagements (115 total shows) set attendance records in the desert. In the fall, he took his show on the road, playing to sold out crowds across the country from Houston to Detroit and from Los Angeles to Miami. When the documentary film Elvis: That’s the Way It Is was released in November, all Presley fans, both old and new, could see the transformation that had come over him. 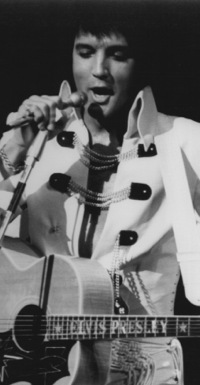 Billboard called Presley’s second 1970 single, “a driving rock-ballad,” and predicted, “This one has all the sales potential of his recent string of hits. 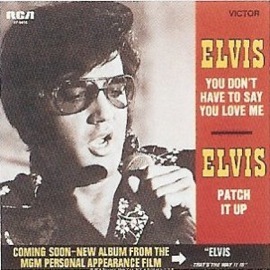 Top performance and material.” Variety added that the new single, “showcases the ‘king of early rock ’n’ roll’ on a standout country pop ballad due for broad impact.” The single ended Elvis’s top ten streak on the “Hot 100” but still reached “hit” status when it peaked at #16 for two weeks in March. 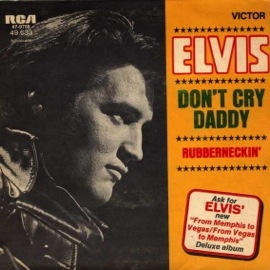 In its review of Elvis’s May single release, Billboard noted, “Presley updates the Ray Peterson ballad hit of the past and comes up with another top of the chart winner. 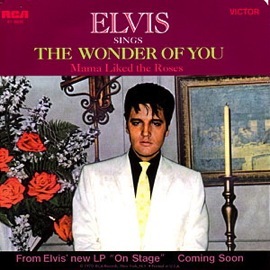 Variety agreed, labeling the A side, “a polished big ballad and an excellent vehicle for his powerful vocal delivery,” and the flip side, “a sentimental ballad that also features a powerful vocal performance.” As Elvis’s first ever live single release, “The Wonder of You” took Presley back into the top 10 during a 12-week run on the “Hot 100.” In mid-summer it spent three weeks at #9. 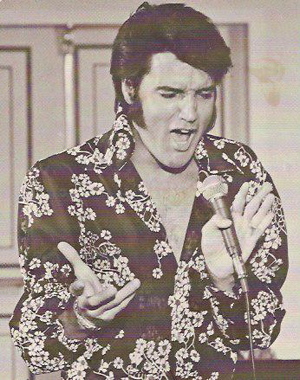 Considering “I’ve Lost You” an aberration for Presley, Billboard predicted his fifth 1970 single would be, “Another two sided blockbuster for Elvis. The updating of the Dusty Springfield ballad is super as is the swinging Eddie Rabbit, Rory Bourke number which moves from start to finish with no let up.” Variety noted the Springfield cover, “combines his powerful voice with a lush arrangement for a strong ballad entry” and that “Patch It Up” was, “a solid class ballad belted very effectively by this veteran.” The pairing almost got Elvis back into the “Hot 100’s” top 10. At the end of November, it peaked at #11 during a 10-week run on the chart. Considering Elvis’s considerable accomplishments on stage and on the pop singles charts, 1970 has to be considered a second straight triumphant year for him. Difficult to see at the time, however, were cracks forming in the Presley firmament that would soon bring a moderate decline and an end to the “comeback” that started two years before. It began with the quality of his music. 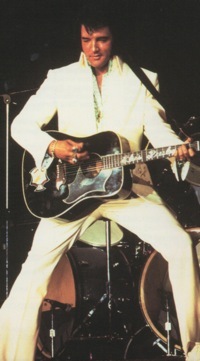 His comeback was fueled by material he recorded at Memphis’s American Studios during January 1969. 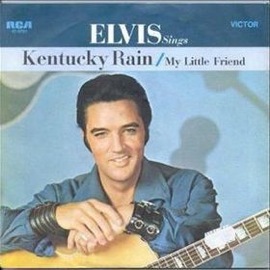 The 32 tracks laid down during those sessions produced two acclaimed LPs and four hit singles—“In the Ghetto,” “Suspicious Minds,” “Don’t Cry Daddy,” and “Kentucky Rain.” Rather than return to American, the studio that produced his greatest body of recorded work since the “Elvis Is Back” sessions in 1960, Presley decided to return to RCA’s Studio B in Nashville for his next sessions in June 1970. The overall quality of the three dozens songs recorded in Nashville that summer was considerably weaker than the material recorded earlier at American. 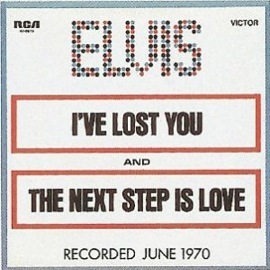 The Nashville sessions produced only one hit single (“You Don’t Have to Say You Love Me”), and even that one was a cover. 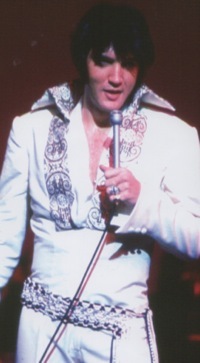 With popular writers like Mac Davis and Eddie Rabbit becoming more interested in recording their own material, the quality of new songs presented to Elvis deteriorated, forcing him to focus on well known cover songs for much of his studio material. And although his 1970 singles performed well on the “Hot 100,” Elvis’s RCA albums were disappointing that year. Only his live Vegas LP, “On Stage,” was successful. After that came a couple of weak budget LPs,“Let’s Be Friends” and “Almost in Love,” both containing a hodge-podge of discarded session recordings and weak soundtrack numbers. Even the “That’s the Way It Is” LP, issued in November 1970, lacked focus with its mixture of Nashville sessions tracks and live recordings. "Considering Elvis’s considerable success on stage and on the pop singles charts, 1970 has to be considered a triumphant year for him. Difficult to see at the time, however, were cracks forming in the Presley firmament."